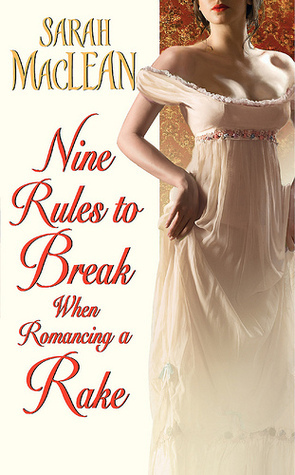 Nine Rules to Break When Romancing a Rake is the first book in this trilogy. It was my first Historical Romance book ever and I LOVED…LOOOOOVED it!! If you have not read it, do it soon! 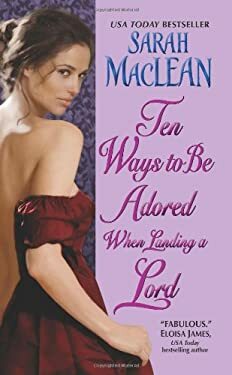 The sequel, Ten Ways to Be Adored When Landing a Lord, was also really good…but to me, the first one is still better. These sound very good, and I loooove the titles. I'm definitely adding them to my TBR list. Great pick!Here's my WoW! Not really my kind of book, but the summary does sound good. Awesome pick! I've never read anything by her, but I'm totally checking her out now!New follower! Check out my WoW post! Pretty cover! I really like historical books. :) Thanks for sharing! I've heard such good things about these books I really need to read them. Great Choices. I enjoy this authors work. I hope that when you get your book, it is everything you hope it to be. Check out what I am Waiting On Wednesday for. Happy Reading. Okay then, I will have to check these out!